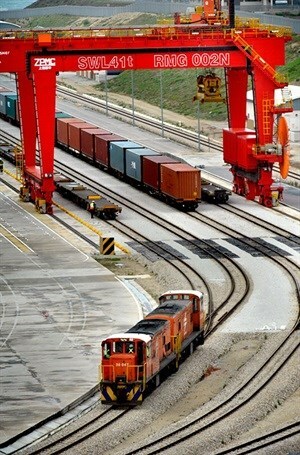 According to The Port Management Association for Eastern and Southern Africa (PMAESA) secretary general, Nozipho Mdawe, "Improved port connectivity with rail networks and better logistics performance are strongly associated with trade expansion, export diversification, ability to attract foreign direct investments and economic growth." Mdawe continues saying that the high logistics costs of freight rail are one of the main logistics challenges that facing Africa and by reducing cost and enhancing freight logistics between ports and rail, existing business will grow while attracting new business and enhancing opportunities for diversification. Appointed in 2015 as the first female secretary general, Mdawe joined PMAESA with a wealth of experience from South Africa's giant freight logistic chain, Transnet, with exposure in Port Terminals (TPT) and Aviation (the then unit of Transnet - SAA) and lastly, Freight Rail (TFR), where she was the general manager for the mineral mining and chrome business. Rail operators and industry experts from across Africa and abroad, including Mdawe, will all gather in Durban for African Rail Evolution from 18 - 19 October 2016 to learn, network and discuss best practices on how to improve port connectivity with rail networks and logistics performance. According to the event organiser, Nico Loretz, the forum will feature case examples on issues such as rail upgrade and maintenance, ways to decrease logistics costs of freight rail and enhance the efficiency of rail through connecting it to ports. In-depth panel discussions on localisation to drive commercial success and the development of an integrated and sustainable transport network in Africa will give delegates the opportunity to interact and debate with one another. Speakers include South Africa Deputy Minister of Transport, Lydia Sindisiwe, Ethiopian Railways Corporation’s Director for Business Development, Shewangizaw Kifle, Swaziland Railways’ Director for Engineering Bhekithemba Dlamini, Rail Safety Regulator CEO Nkululeko Poya, Transnet Freight Rail’s Caesar Mtetwa and Mdu Mtetwa, and Gautrain Management Agency CEO, Jack van der Merwe to name but a few.